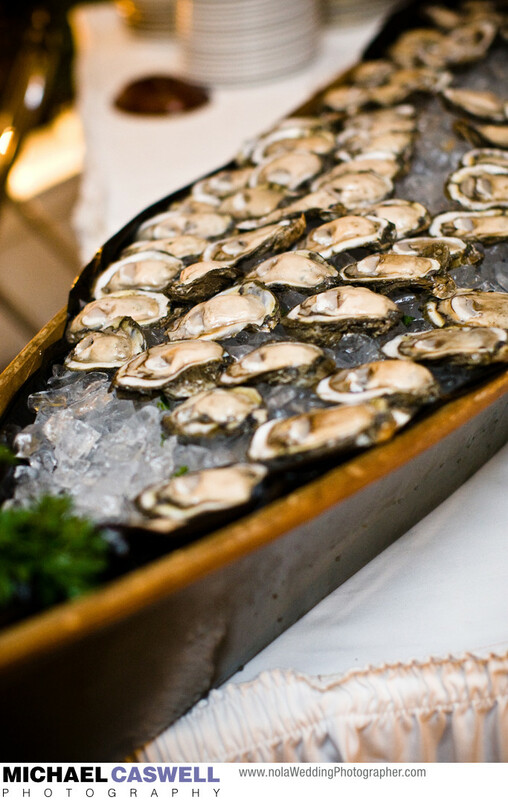 Indisputably, one of the best thing about having a wedding in New Orleans is the amazing food, and oysters on the halfshell are a staple for these events. A popular way of presenting this delicacy is in miniature pirogue. A pirogue is similar to a canoe, and is tightly associated with cajun culture in Louisiana, so there's no more suitable way to display oysters!